True is one of the leaders in the commercial refrigeration industry. True Refrigeration has over 60 years experience in manufacturing high-quality commercial refrigeration equipment, with a commitment to value, performance, and sustainability. 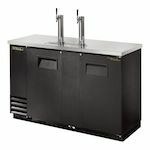 True is an industry innovator in both technology and design and True's Refrigeration products demonstrate their attention to quality and durability. 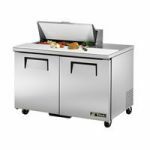 True T-23F-HC 27" One Section Solid Door Reach-In Freezer - 19.5 cu. ft.